known for her works: "Greek," "As the World Turns" and more. Seen with YOU gNeek’s Working Lighter Cufflinks and says, "They're great! I love them- I'll gift it to my husband for his birthday"
Note: YOU gNeek neither states nor implies that any of these celebrities endorse our products. 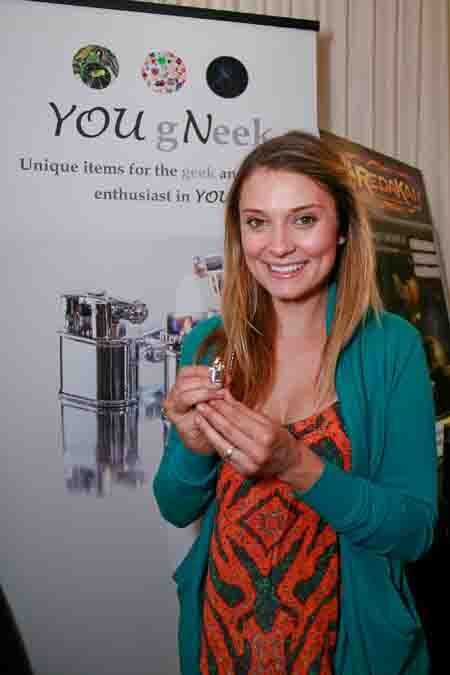 We sincerely thank Spencer Grammer for taking pictures with our functional jewelry. Wow! You look great!